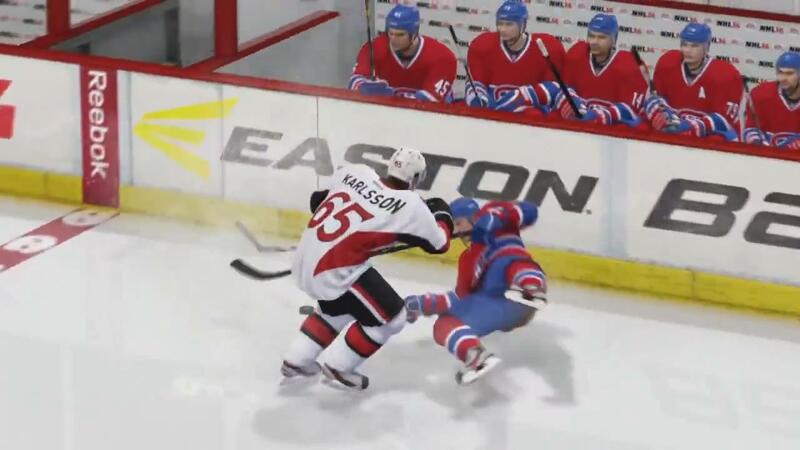 EA Sports has announced some of the first features for their upcoming hockey game, NHL 15. This will be the first hockey video game on the PlayStation 4 and XBOX One. It will also still be released on the PlayStation 3 and XBOX 360. New voices for a new generation. NHL 15 welcomes the NBC Sports commentary team of Mike ‘Doc’ Emrick and Eddie Olczyk to the broadcast booth. TSN analyst Ray Ferraro will provide game insights at ice level. Combined with Real Life Broadcast Integration that will feature real-world pre-game video commentary with Doc and Eddie set against in-game visuals, NHL 15 takes a revolutionary step forward in sports video games; where the lines between the real world of sport broadcast and the game are blurred. NHL 15 sets a new standard in video games with over 9,000 individual crowd models with 4x the animations of previous generations. Take a look through the glass and you’ll see fans hold up signs with your name on them, costume wearing superfans, or even sections full of team rivals rooting against you. Feel their behavior change after dropping the gloves, landing a big hit, or scoring a clutch goal. The crowd is alive.